16.04.2019 – 02:07 UTC Ethiopian Airlines (ET, Addis Ababa) will relocate its New York services operated via Abidjan from New York Newark to New York JFK on June 17, 2019, ch-aviation schedule analysis has revealed. Ethiopian Airlines’ US network also encompasses services via Dublin Int’l to Chicago O’Hare (3x weekly) and Washington Dulles (daily). The airline plans to launch 3x weekly flights to Houston Intc’lvia Lomé on June 23 and to Washington Dulles via Lomé on June 20. The carrier is unable to serve the US directly due to the high altitude and hot weather at Addis Ababa limiting the aircraft take-off performance. All Ethiopian Airlines’ flights to the US are operated with B787-8s except for the Addis Ababa-Dublin-Washington service operated with B777-300(ER)s.
Air Peace has unveiled its plan for the aviation sector in 2019, assuring air travellers of packages including exceptional long-haul flights to Dubai, Sharjah, London, Guangzhou-China, Houston, Mumbai and Johannesburg. The Chairman of Air Peace, Mr Allen Onyema, gave the assurance in a statement issued on Thursday in Lagos. Onyema urged staff of the airline to gear up to raise the bar of flight services to the travelling public in 2019. The chairman commended the travelling public for preferring Air Peace and staying loyal to its brand in 2018. He attributed the success of the airline in four years to the unflinching support its customers, pledging that the carrier would spare nothing in making their experience truly rewarding, exciting and safe. “2018 was both challenging and exciting for us. It was the year we upped our record of firsts. “In the year under review, we launched a number of domestic and regional routes under our no-city-left-behind project on the platform of our subsidiary, Air Peace Hopper. “We also made history as the first domestic airline to acquire and register the Boeing 777 aircraft in Nigeria. We have so far acquired four Boeing 777s, with two already delivered. “We also successfully renewed our International Air Transport Association Operational Safety Audit (IOSA) certificate and Air Operator Certificate (AOC) after a very rigorous process. ” We also diversified the aircraft in our fleet with the inclusion of six 50-seater Embraer 145 jets, which have so far helped our yuletide operations in no small way,”Onyema said. According to him, the airline in September signed a deal with American plane maker, Boeing, for the delivery of 10 brand new Boeing 737 MAX 8 aircraft, making Air Peace the first to achieve the feat on the West Coast of Africa. “We are sincerely grateful to our loyal customers without whose support, preference for our brand and patronage we could not have made a success of the target we set for ourselves in 2018. ” It was quite a challenging year too, given the dire economic situation across the world, but our esteemed customers supported us through it all. “In 2019, we are going to implement a series of bolder decisions aimed at giving the flying public a truly exciting experience. ” Already, we have begun the expansion of our flight operations to the Murtala Muhammed Airport 2 (MMA2) in response to our customers’ wish for a better space to serve them. “This becomes effective Jan. 2, 2019 with the operation of our Lagos-Akure, Lagos-Asaba, Lagos-Kaduna and Lagos-Port Harcourt NAF Base services from the facility. ” All flights under our subsidiary, Air Peace Hopper will eventually be moved to MMA2,”he said. also going to give the flying public a reliable, safe, affordable and comfortable alternative on some international routes, including Dubai, Sharjah, Guangzhou-China, Mumbai, London, Houston and Johannesburg. ” Our staff have been wonderful with their commitment and dedication to duty through the years, but 2019 is one year all hands must be on the deck. Qatar Airways also operates services to Ho Chi Minh City and Hanoi. 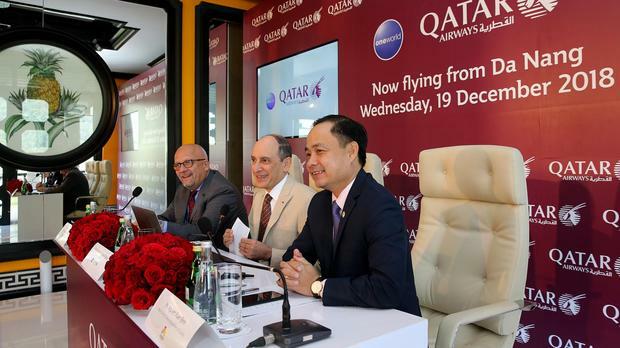 To celebrate the launch of Qatar Airways’ inaugural flight to Da Nang, Vietnam, Qatar Airways Group Chief Executive, His Excellency Mr. Akbar Al Baker, recently hosted a press conference at the InterContinental Hotel Da Nang. H.E. Mr. Al Baker said: “We are thrilled to launch our new four-times weekly flights to Da Nang, our third destination in Vietnam. Our existing services to Ho Chi Minh City and Hanoi are incredibly popular, so we realised the need for further expansion in Vietnam. Da Nang has experienced a significant boost in development the last decade and is quickly becoming an in-demand tourist destination. Deputy Director of Danang Department of Tourism, Mr. Nguyen Xuan Binh commented: “Tourism numbers to Da Nang have steadily increased over the years thanks to Da Nang’s unique landscape of coast, rivers and mountains and varied tourist attractions. Our goal is to welcome eight million tourists to Da Nang in 2020. The Kenya Airports Authority (KAA) says it has received an application from Kenya Airways to manage operations at the Jomo Kenyatta International Airport (JKIA), in a restructuring plan aimed at aiding the airline’s recovery and boosting its revenues. KAA managing director Jonny Andersen said Friday that the application, which outlines how KQ will support and grow the aviation business in Kenya, will be granted if its meets approval from the airports regulator. “In addition, KAA must satisfy itself that the proposal is feasible and provides for value for money to both KAA and the public before implementation,” said Mr Andersen in a statement. To be able to ascertain the viability of the project, KAA has appointed an adviser to assist and guide comprehensive due diligence and an evaluation process for the project. The process, according to Mr Andersen, is structured in line with requirements of the Public Private Partnership Act. 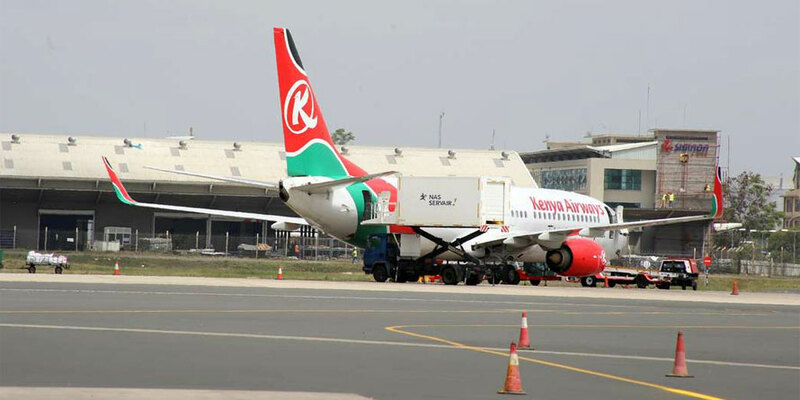 Kenya Airways is set to merge with KAA as part of a grand plan to deepen the airline’s recovery and cement Nairobi’s status as a regional transport hub. According to a policy paper seen by the Business Daily which got the cabinet’s approval in June, the aim is to reposition KQ in a similar fashion as its main rivals, including Ethiopian Airlines, which have relied on government backing to expand their reach. The move, dubbed ‘Project Simba’, also appears to be a reaction to the financial difficulties the carrier has continued to experience even after last year’s completion of a major reengineering drive, causing concern that it may not be able to withstand competition in the near future. Through a public-private partnership (PPP) which is yet to be signed, Kenya Airways will take over all the staff and operations of the KAA. The move will at once expand the range of the airline’s services to include ground handling, maintenance, catering, warehousing and cargo. It is also envisaged that a special economic zone will emerge around the country’s main aviation hub, JKIA. The government is further expected to support the joint venture by exempting the national carrier from certain taxes and allowing it to retain several levies as part of the plan to stop financial haemorrhage at KQ and bolster JKIA’s status as East Africa’s aviation hub.